Midfielder Danny Ventre has left Derry City after one season at the Brandywell club. The 28-year-old played his last match for the Candystripes in the 30 October FAI Cup final in which City were beaten 2-0 by St Patrick's Athletic. Ventre, from Liverpool, was one of the first signings made by former manager Roddy Collins in December 2013. 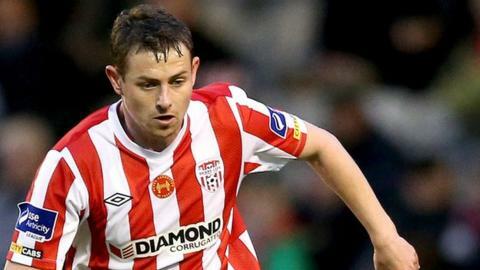 Collins left the club in May after Derry's disappointing start to the League of Ireland season. Before joining Derry on a one-year contract, Ventre spent five years with Sligo Rovers and was their skipper when they won the Premier Division title in 2012.